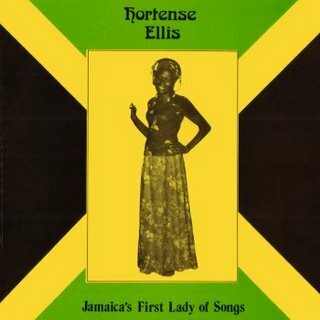 You may be more familiar with her older brother Alton, but Hortense Ellis also left her mark on Reggae Music with a fruitful career. Looking back on her catologue, she always seems to sing from the point of view of the "other woman" or any other type of "no strings attached" type lover. When an artist's repertoire is bound by an overwhelming theme, I always wonder whether it actually pertains to the person, or whether they are maybe just musically type casted or something to that effect. Regardless, Hortense has a raw blend of vocal beauty and near-callous female strength, that grabs her an interesting niche amongst the other Queens of Reggae. She splits an excellent album with her brother of their work with Studio One in the late 60's & early 70's that I highly recommend, other than that her output is of sporadic.